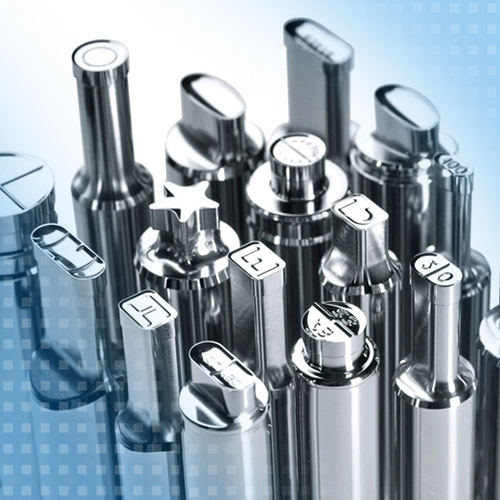 Press tools for the tablet production are subject to a continuous wear control. Due to complex geometries and strongly reflecting surfaces, optical inspections are only possible with high precision measuring techniques. A confocal sensor and an optical micrometer enable to inspect the tools in a special measuring machine. The press tools are tested for different parameters.